Since last March, Propeller Anime has hosted monthly events known as "Anime Nite @ The Geek Easy" at A Comic Shop. On Saturday, January 28th, we will begin hosting our monthly meetings there as well. We have been welcome with open arms into A Comic Shop. They have promoted us at their store very well and they have let us run events our own way. Moreover, they've treated our event attendees with the same level of courtesy and respect as all others who have entered their store. A Comic Shop, since establishing the event space known as "The Geek Easy," have reached out to many fandoms and have put on events for fans of comic books, videogames, table top games, cosplay, burlesque, nerdcore, and have asked Propeller Anime to host their anime events. While A Comic Shop knows the comic book market very well, they have not put a lot of research into what appeals to fans of anime and manga. They have a form of marketing that works well with getting attention and sales from comic book fans. Unfortunately, they released an ad that did not go over well with those audiences do to their lack of knowledge. We know that A Comic Shop meant good with the ad even though it did not come off that way with many people. They have treated anime and manga fans that have come to their store really well and we will continue to do events and meetings at A Comic Shop. Propeller Anime will show good people who like anime a great time. If you are still not sure about how A Comic Shop feels about fans of anime and manga, feel free to come in on Saturday, January 28th at 4:00PM. We'll talk about conventions, anime, and watch some great stuff. 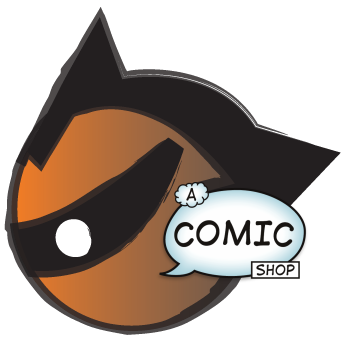 You can find A Comic Shop at 114 S. Semoran Blvd Winter Park, FL 32792.